Cinebench - R11.5 is closed since 31 July 2013. Only members of Americas may participate. Only use motherboards using Z87 chipset. Not allowed: hardware sharing, engineering samples, hardware that is not commercially available at the beginning of the competition. The top 50% (minimum 15 for Class A, minimum 10 for Class B) overclockers have been chosen in each group during the qualifier contest. These members may continue to submit scores in Semi-finals. 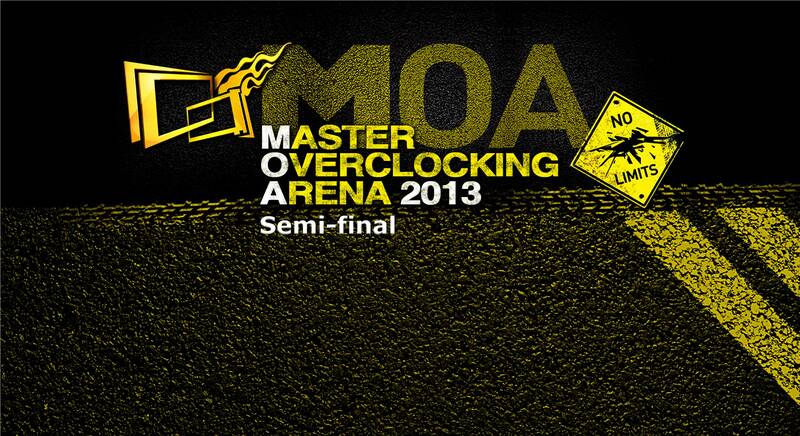 The top 15 overclockers from different classes and regions will be invited to the MOA 2013 Grand Final. Only the highest ranked participant per country (for each round) will get a ticket to Grand Final. The maximum amount of participants from the same country in the Grand Final is 3: 1x Class A Qualifier, 1x Class A Semi-Final, 1x Class B). As MSI does not allow 3rd party external VRMs such as EPower HWBOT requests a verification video to approve the achieved 3D score. Traditional volt modifications or an external MSI VRM such as a cut lightning card are allowed. This rule applies for the 3DMark Fire Strike Extreme. GTX Titan and GTX 780 users have to provide the video once they exceed a GPU core clock of 1300 MHz. The video has to include at least the last 5 seconds of the running benchmark, the achieved score and the GPU (boost) clock in Nvidia Inspector. After capturing the result you have to move over to the system and show the graphics card including a detailed shot of the power area. As MSI does not allow 3rd party external VRMs such as EPower HWBOT requests a verification video to approve the achieved 3D score. Traditional volt modifications or an external MSI VRM such as a cut lightning card are allowed. This rule applies for the 3DMark Vantage Performance and 3DMark03. GTX 560 Ti 448 users have to provide the video once they exceed a GPU core clock of 1200 MHz. HD 7790 users if exceeding 1500 MHz. The video has to include at least the last 5 seconds of the running benchmark, the achieved score and the GPU (boost) clock in Nvidia Inspector or GPU-Z. After capturing the result you have to move over to the system and show the graphics card including a detailed shot of the power area.